The drug overdose death rate for all Americans today is where West Virginia’s rate was 10 years ago. The nation’s suicide rate is where West Virginia’s was nearly 20 years ago. Obesity was common in West Virginia before it became widespread in the rest of the country. 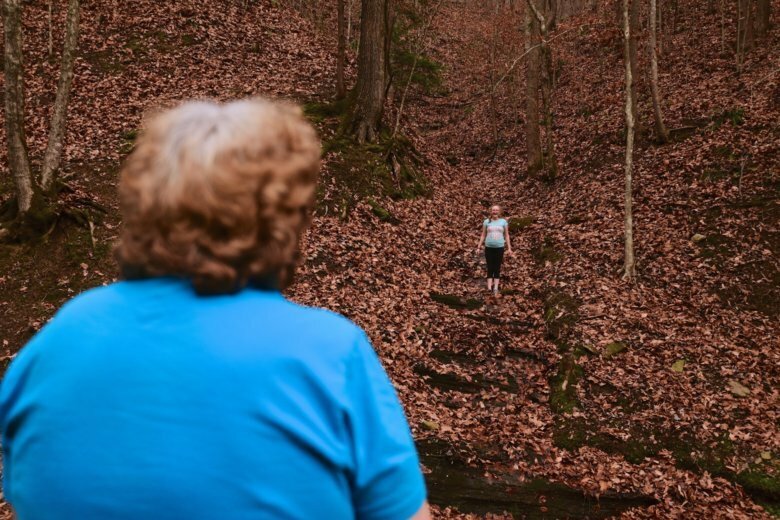 And life expectancy started tumbling in the Mountain State before it began falling across the U.S.
Maggie Hill has lived in the state for all of her 67 years. Sitting in her cabin in the town of Madison recently, she ticked off the many deaths that have befallen her family: An older brother drowned in a flood in 1977. A sister died in a house fire. Two siblings, both smokers, died of lung cancer. Two others were stillborn. Her first husband died of congestive heart failure. Then there were the suicides. Two of her three sons shot themselves to death, one of them after losing his job. Her second husband died the same way, using a gun in their bedroom closet one Sunday morning while she was still in bed. After decades of steady increases, U.S. life expectancy has been declining since 2014. A government report released last month said the trend continued last year, driven in part by suicides and drug overdoses — the so-called diseases of despair. What else is driving the decline? Experts say America’s obesity problem has worsened the diabetes death rate and helped stall progress against the nation’s leading killer, heart disease. West Virginia eclipses most other states in the percentage of people affected by diabetes, heart disease and obesity. It has had the nation’s highest rate of drug overdose deaths for years running. It also has the highest obesity rate and the highest rates of diabetes and high blood pressure. Adding to those woes is the highest suicide rate among states east of the Mississippi River. Earlier this fall, U.S. health officials released for the first time life expectancy predictions at a neighborhood level. An Associated Press analysis of the data found wide disparities in cities and towns. Among states, the AP found, Hawaii had the highest life expectancy. West Virginia was the second lowest, behind Mississippi. Mississippi, Oklahoma and a few other states suffer death and disease rates that are about as bad — or sometimes worse. But those places have unusually large populations of low-income black or Native American people, who suffer a disproportionate share of disability, disease and death. West Virginia is 94 percent white. That makes it a telling indicator. Nearly 80 percent of the Americans who die each year are white people, and death rates rose in white men and women last year but were flat or falling in blacks and Hispanics. So white deaths — particularly those of people who are not elderly — are mainly responsible for the nation’s declining life expectancy. Ten years ago, The Associated Press described Huntington, West Virginia, and its environs as the unhealthiest place in America , based on health survey data from the Centers for Disease Control and Prevention that put it at the bottom of the charts in more than a half-dozen measures, including the highest proportions of people who were obese, had diabetes and had heart disease. The AP report, and others like it, drew widespread attention that peaked in 2010, when celebrity chef Jamie Oliver staged a reality TV show in Huntington to teach people how to eat better. The attention was not entirely welcomed. It felt like outsiders coming in to criticize and perpetuate “hillbilly” stereotypes, said Steve Williams, who was elected Huntington’s mayor in 2012. But Williams said it also was motivating, prompting changes in school food and even improvements to parks and sidewalks. These days, the Huntington area looks somewhat better in government health surveys. For example, the region’s obesity rate is only a few percentage points above the national median — instead of 10 or 20 points. That said, it’s clear the Huntington area still has some big problems. It ranks among the worst metro areas in measures like the percentage of adults who smoke, have high blood pressure and have had a stroke. About the time Huntington was trying to tackle its weight problem, it was rocked by a new crisis — opioid addiction. West Virginia now has the distinction of having the nation’s highest drug overdose death rate. Last year, for the first time, the state’s body count surpassed 1,000. The epidemic also produced ripple effects such as a spike in the number of children taken into foster care because of dead or addicted parents. In the last two years, no West Virginia county has seen more overdose deaths than Cabell County, which includes Huntington. One of the grimmest spots has been Huntington’s West End — some locals call it “the Worst End.” The AP analysis of neighborhood-level death data found the area had a life expectancy at birth of only 62 years, 16 years shorter than national life expectancy. Huntington’s reputation crystalized on a chaotic Monday in August 2016, when emergency responders saw 28 overdoses over six hours — including two deaths. The city soon became known as America’s overdose capital. As documentary crews descended, Huntington tried to confront the problem. Among the efforts were quick-response teams charged with finding people days after they were treated for an overdose. The teams include a police officer, a clergy member, a paramedic and a treatment counselor who hand out overdose-reversing naloxone and provide information about treatment. They also direct people to a needle-exchange program run by the Cabell-Huntington Health Department. One of the key figures in the program is Thommy Hill, a former drug dealer who has become its gatekeeper and central cog. He knows every drug user who visits and constantly tries to persuade them to try treatment — arranging immediate transportation and handing them a backpack full of clothes if they agree. Something seems to be working. Non-fatal overdoses in Huntington have fallen and are on track to be 40 percent lower than 2017, city officials said. They are optimistic deaths will be down this year, too. “If we can turn around overdose numbers here, we can do it anywhere,” Surgeon General Dr. Jerome Adams said in May at a health summit in Huntington. Politicians including President Donald Trump have decried the opioid epidemic, prioritizing it over other health crises. But obesity still presents a towering threat. West Virginians exercise less than other Americans. They eat fruits and vegetables less often. Only Mississippi has a larger proportion of adults drinking soda and other sugar-sweetened beverages each day. In some cases, state policies are not helping. For example, bariatric surgery can help certain obese people for whom conventional diet and exercise programs have no lasting effect. But West Virginia’s Medicaid program has unusually harsh cost-control barriers that make it difficult for severely obese people to get approved for surgery, according to a recent analysis by George Washington University. Then there’s the soda tax, which health advocates say can give consumers second thoughts about choosing those drinks. Last year, Gov. Jim Justice proposed raising it from 1 cent per 16.9-ounce bottle to a penny per ounce. It failed in the Republican-controlled Legislature. There are some signs of hope in West Virginia. In October, health advocates held a conference on obesity in the South in West Virginia’s capital city. It was a surprisingly upbeat meeting. The South has long had the highest obesity rates in the country, and nowhere has adult obesity been more common than in West Virginia. But future-focused projects are popping up all over the state, aimed at getting kids to embrace exercise and healthy eating. “We want to give people hope that we can be knocked off the unhealthiest list” of states, said Kayla Wright, director of an organization called Try This West Virginia that’s funding many of them. One grant paid for high school students to build a 5K trail and explore creating a teen cross-country running group. Another grant went toward restoring a greenhouse and helping people learn to garden. Many of the projects are baby steps, but conference participants cited a few places where progress seems broader. Huntington is one, they say. Another is Mingo County, in the southwest corner of the state, deep in the heart of coal country. Life expectancy there has never been high. Jobs in the lumber and coal industries were notoriously dangerous. Doctors could be hard to find. And there was violence: The deadly Hatfield-McCoy feud played out in those hills, as did bloody labor battles between miners and coal companies. But while the drug crisis was playing out, some local leaders — led by a young doctor named C. Donovan “Dino” Beckett — built a series of programs aimed at creating a culture of health. It started seven years ago with the opening of a free clinic that later became the Williams Health and Wellness Center. That spawned a community garden and a vegetable delivery service, a running club and once-a-month 5K races that draw a few hundred runners. Also in the works, for next year, is a federally funded treatment program for people addicted to drugs. So far, perhaps the most successful program is one that sends health workers to the homes of diabetics. The 48-year-old lost his job three years ago when the mine he was working in shut down. Last fall, he had just pulled out of a long-term habit of pain pills and other drugs when he bizarrely tore a tendon in his foot while picking up a piece of paper at a post office. By January, the 5-foot-3 former mine foreman ballooned from 165 pounds to 196. “I was round as I was tall,” he said. A visit to the Williamson health center revealed he had alarming, diabetes-qualifying blood sugar levels. He’d had mini-strokes in the past, and his physician said a much bigger one was probably on its way if Muncy did not take drastic steps. The doctor put him on a tight carb-cutting diet, connected him to physical therapy and put him in the home-visit diabetes program. Now Muncy walks 5 miles a day and is a regular at the farmer’s market. His weight is down to about 145 pounds, he said in a recent interview. He still smokes, though. University of Washington researchers recently calculated something called “healthy life expectancy” — the period someone born today could expect to live in relative health. West Virginia, at 62½ years, was the lowest among states. Black lung disease rates and coal mine injury rates appear to be up. Maggie Hill, the lifelong West Virginian, has little hope for the future. But she does have Charity. Charity is a 10-year-old girl Hill adopted about five years ago. Hill’s son had been raising her but lost custody during his ongoing struggle with drug addiction, Hill said. Hill and Charity live in a small wooded valley with a creek in it — a holler, as they say in West Virginia. Her house is a cabin that from the outside resembles a small, tidy barn. Charity has given her life a purpose, she said. Charity is a good student (“Four A’s and a B on her last report card,” Hill said). And there’s hope that she will do well enough to go to college. Hill is saving for it. “She wants to be a doctor,” Hill said. If Charity does go to college, some place away from Boone County, Hill says she will move there with her. “If I’m alive,” she said. AP data journalist Nicky Forster contributed from New York.